I was working on a site for a client. 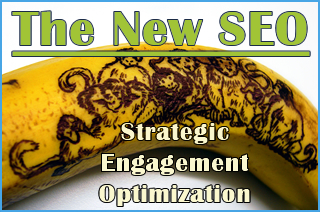 Their site gets traffic, but there wasn't any sort of call to action. So I need to be able to create a form and capture name, email address, phone, and allow them to add some information concerning their request. I didn't have a lot of time to spend on it. There was no budget. I just needed to get it up and running. You can see the form here: Amtech Roofing. 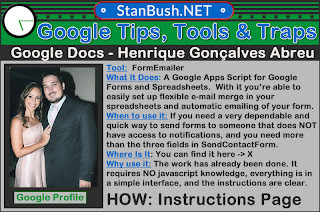 I had used Stephen Hind's script at Steegle.com before, but as you'll see from the link, this script is for a three field form. I had slightly more. My choices were to reduce the fields, or look for another script. Fortunately Stephen had a link to a couple of scripts at the bottom of his page. Since I trust Steegle, I decided to follow the links. 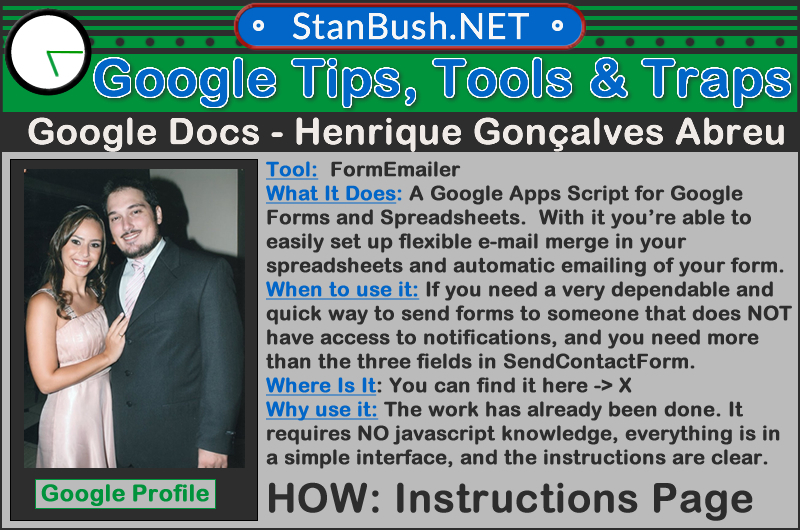 What I found was a link to FormEmailer, a script created by +Henrique Gonçalves Abreu . It was easy to install, it worked without too much tinkering around with it, and was free. There is a 'donation' link on the site, but it's not required. You don't have to register to download it, and there are more than adequate instructions on how to install it. There is more than one method to install. You'll find the link to that by hovering over the image above. This image is necessary for some other things to work on this site. If you'd like to know what those are, please contact me. Although, I would prefer to be contacted via my G+ profile.